If your iPhone 4s is losing charge quickly or your iPhone is not charging correctly or your battery does not last for a long time any more, you will need to replace the iPhone 4s battery. We will replace with a brand new Li-Ion iPhone battery. Same day repair & dispatch (over 95%) available – select “Next Day Tracked and Insured Delivery” service at checkout stage. We have warehouses stocked full of spares and engineers ready to respond to any technology repairs you require. 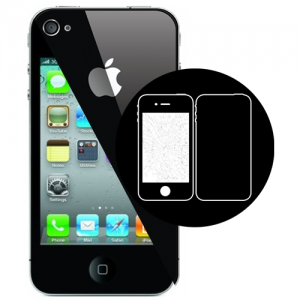 Simply call us on 01923 551 661 to make a booking and we will come to you and carry out the repair or upgrade. For customers outside our service area and cannot make it to a drop off point can use our mail in service. This service involves purchasing your repair online and sending your device to use recorded and insured – we will return the repaired device at our cost. Once you have placed the order with us, an email notification is sent to you with full instructions of how and where to post your device to (or see contact page for shop address). When we receive your device, one of our technicians will start a pre inspection report to test basic functions of your iPhone before work is carried out. We don’t need your sim card but please provide us with what network your phone is on so full tests can be ran after repair. After the repair is complete, another test is carried out ensuring the iPhone is functioning correctly. When passed you will receive an email with your tracking code and your iPhone will be back on its way home!